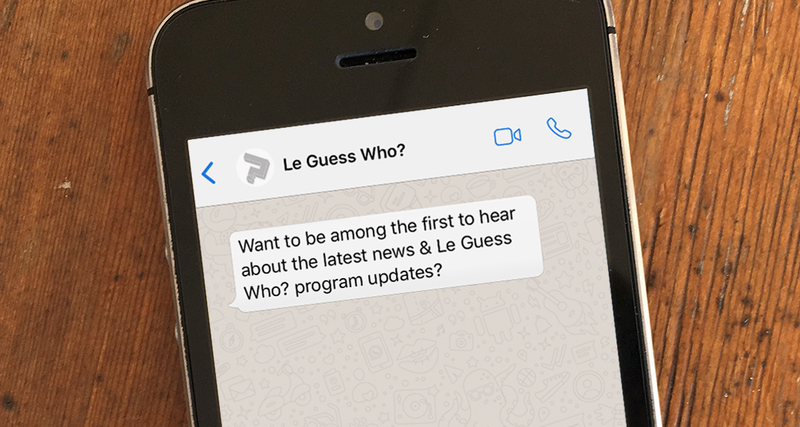 Want to be among the first to hear about the latest news & Le Guess Who? program updates? You can now also subscribe via WhatsApp to receive festival updates. To do so, add +31 6 8379 7340 to your contacts, and send us a WhatsApp message containing 'subscribe'. Don’t worry, we’ll be selective with what & how often we’ll send you an update. Had enough? You can unsubscribe by simply sending 'off' to the same number. Disclaimer: your number will only be saved for this specific WhatsApp purpose; it won’t be shared with anyone else, and you will not be added to any group chat.